A hobby I had in the past was drawing and painting. Mostly Formula One cars, but also various cars like Volvos, Rovers, Opels and sports cars. But I didn’t make any painting the last couple of years (due lack of time and lack of space) and because we’ve moved to a much bigger house last year it’s time to pick up this old hobby again. 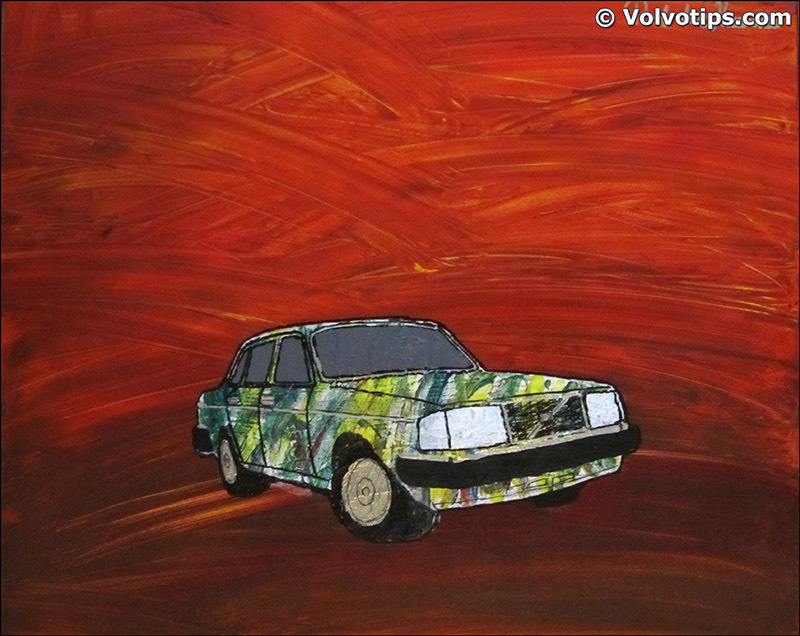 Fortunately my paint skills weren’t gone so I made a couple of paintings on canvas with some nice Volvo cars. 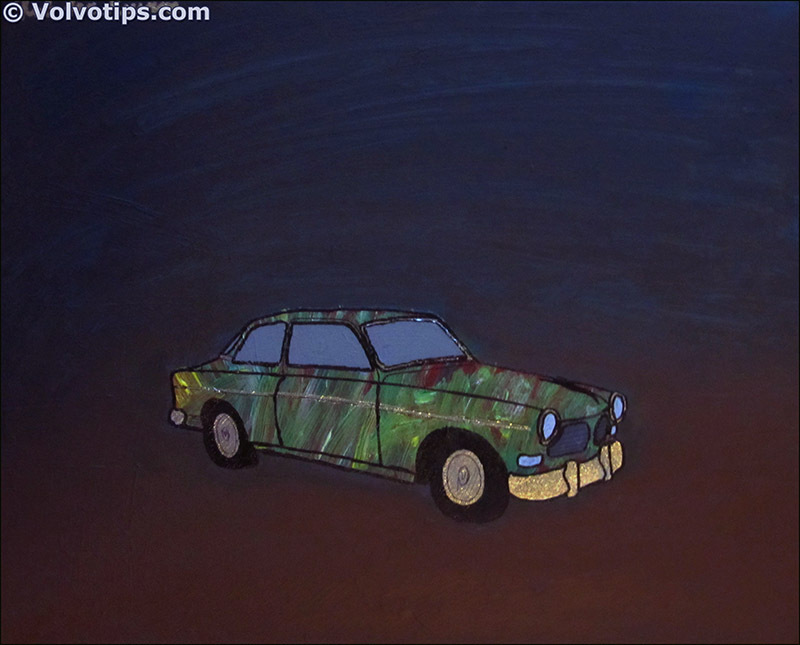 In most cases I use acryl paint, but also the original Volvo car paint in a spray can is also used on some paintings. 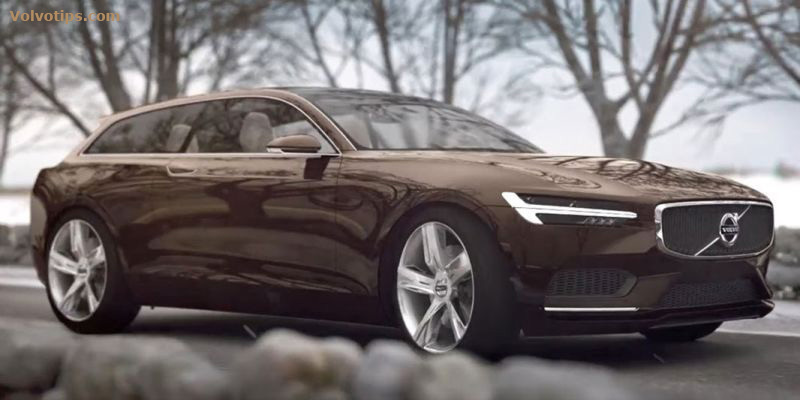 The paintings are a bit figurative because I think the design of the Volvo cars are much stronger in its full glory than spending too much attention on details and shadows. Especially since I create in most cases a special paintwork on the car itself. Besides: it’s in my opinion much more fun painting cars in this way than copying a photo of a car, because it would be better to take a picture and put the image on your wall. A painting has mucht more creativity and imagination than a photo in my opinion, and a lot of more posibilities in colors and backgrounds. 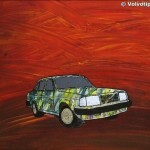 It’s possible to buy a painting (made by me) with a Volvo on it! 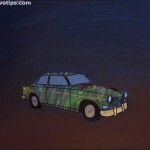 All paintings are painted on canvas with acryl paint and in some cases with (metallic) car paint (original Volvo colors). All paintings cost $ 150.– (120 Euro) and have a size of 19.7 x 15.7 inch (50 x 40 cm). 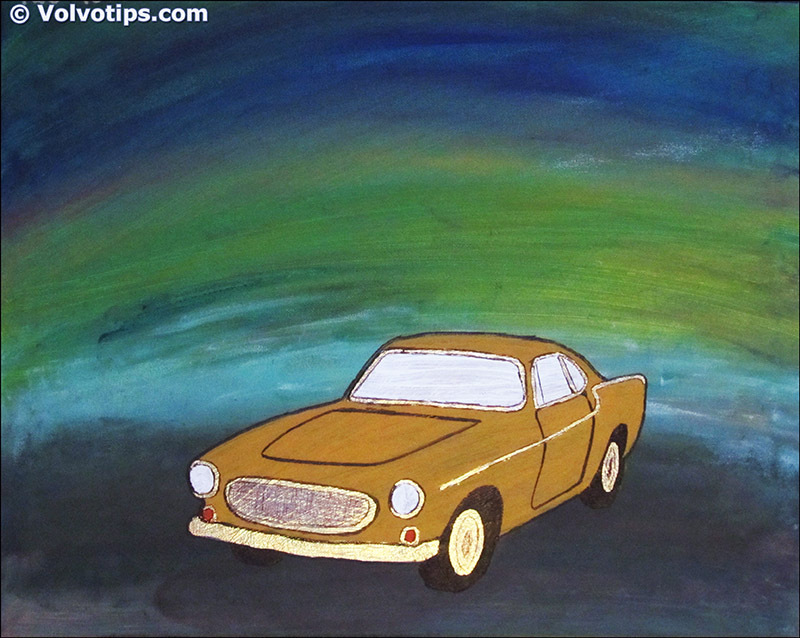 If you want I can make a Volvo painting especially for you, for example the Volvo car you’ve owned in the past or a car with special colors on it. A custom painting will have the same price as the other paintings. Other sizes are also possible, but keep in mind the shipping costs can be a lot higher if the painting is pretty large! 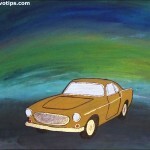 To see all available paintings, how to order and read more about shipping costs check out the Volvo Art-page here. 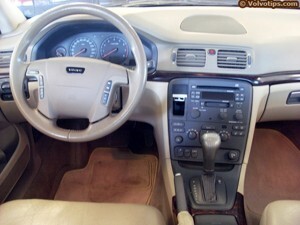 Feel free to mail me at info@volvotips.com for more questions! 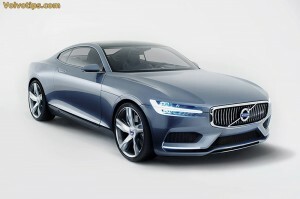 The Volvo 1800ES is back: the Volvo Concept Estate is launched! Today Volvo announced their new concept car, the Volvo Concept Estate. 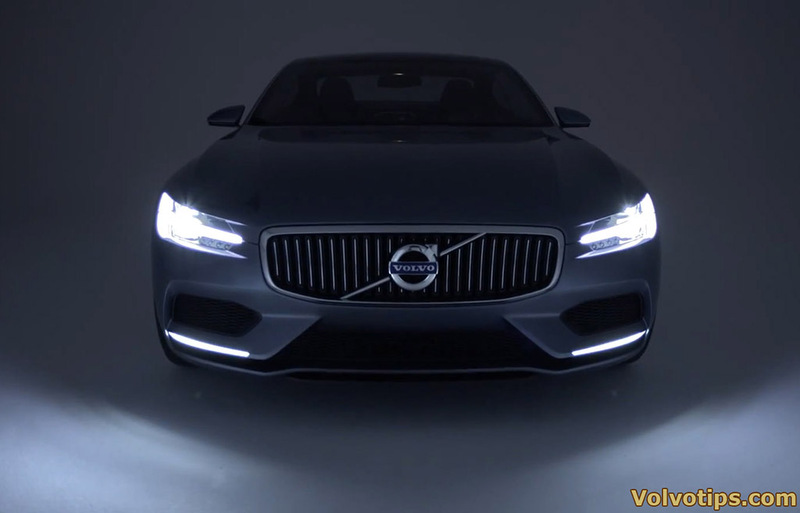 Where the Volvo Concept Coupé was a remake of the legendary Volvo P1800, Volvo’s newest concept car is a remake of the Volvo 1800ES, a shooting brake version of the Volvo 1800-series, although Volvo never marketed the 1800ES as a shooting brake. 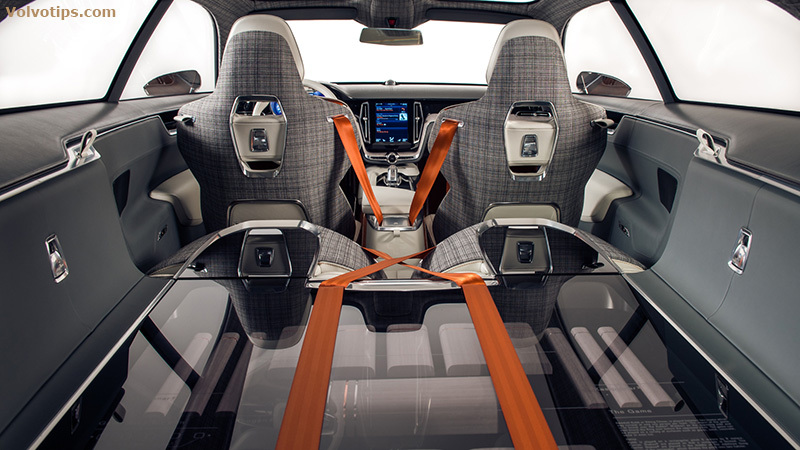 The newest prototype is launched to show the new design direction of Volvo, which will be introduced on production versions like the new XC90. 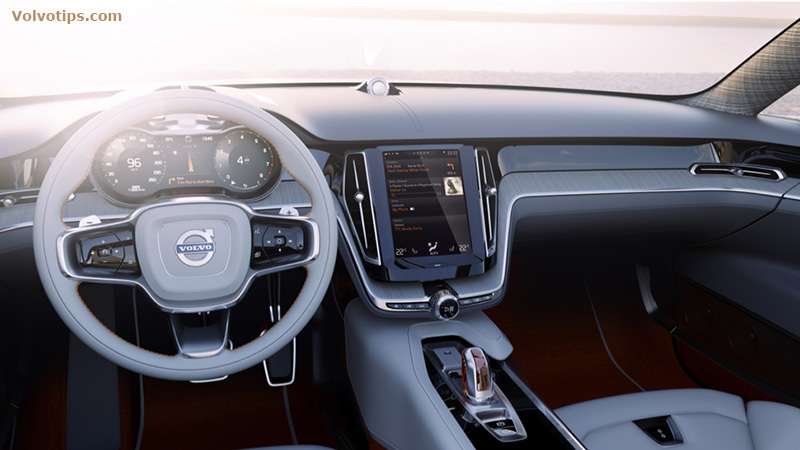 In fact: the new XC90 will have Volvo’s newest design philosophy and I think (based on the glass window of the Concept XC Coupe and the Concept Estate) the XC90 will have a rear that’s inspired on the Concept Estate. Just like the Concept Coupe and Concept XC Coupe the Concept Estate will be build on the SPA platform. 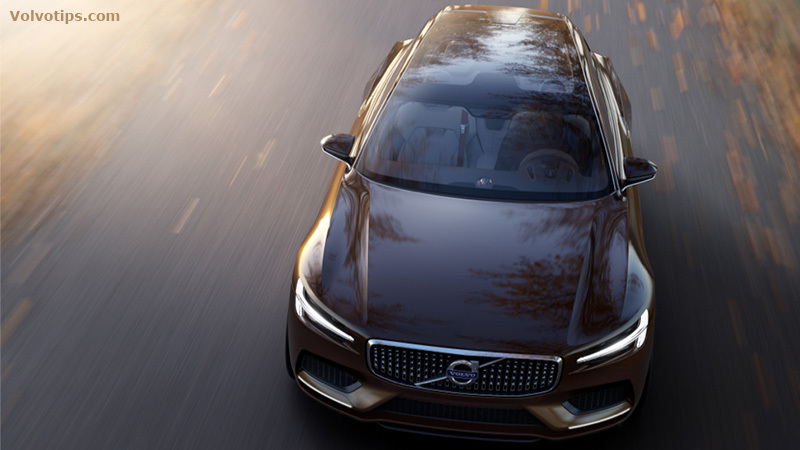 Just like the Volvo Concept Coupé the 1800 ES remake has several design details that directly refers to the P1800ES, like the glass rear window and boot, higher door lines at the rear of the door, the side windows and some details (like the chrome trims around the grille and headlamps) that also can be found on the Volvo 1800-series. 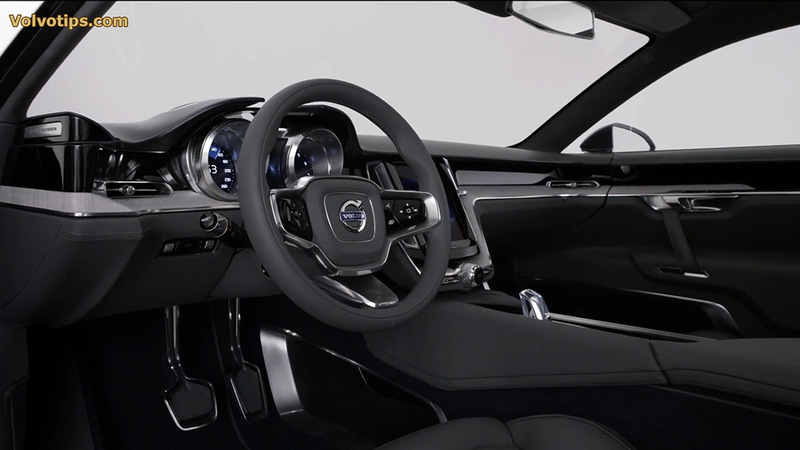 And the interior and dashboard are actually a modern version of the beautiful P1800 interior and is almost the same as the interior and dash of the Volvo Concept Coupé. 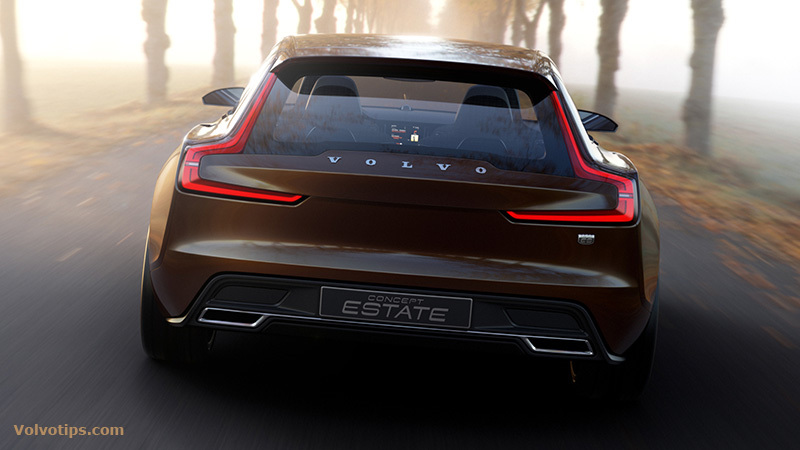 Small detail: the badge on the rear of the car says Concept ES (instead of Concept Estate). 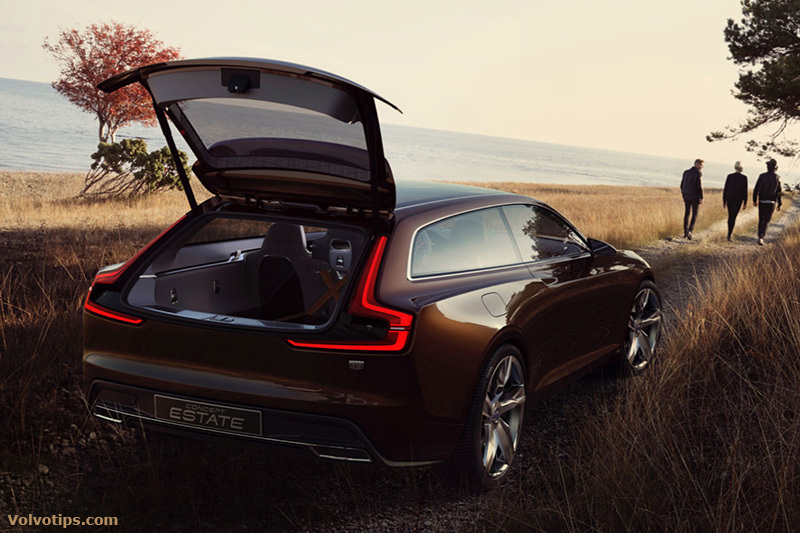 Seems Volvo originally wanted to call the car Volvo Concept ES but for some reasons the name Estate is used. 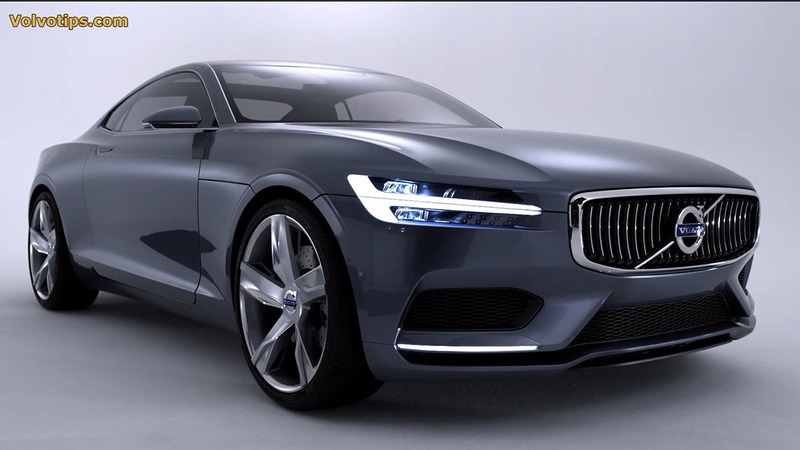 The Volvo Concept Estate will be launched at the Geneva Motorshow 2014, starting on March 6 2014. 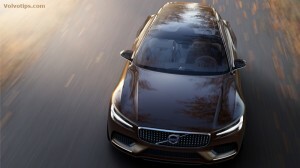 Thanks to the website Jalopnik.com and Autoblog.com the leaked images of Volvo’s new concept car are now already available. 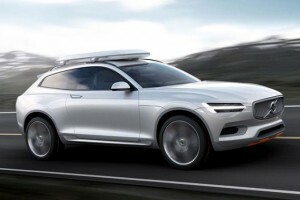 The launch of the Volvo Concept XC Coupe is planned on January 13 this year, but somehow the pictures are already online. Oops! 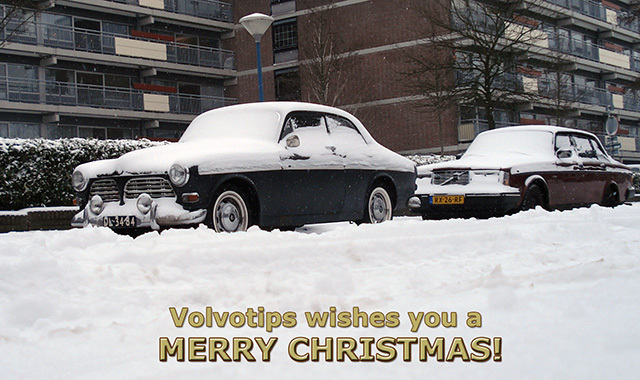 Volvotips wishes you and your family a merry Christmas! 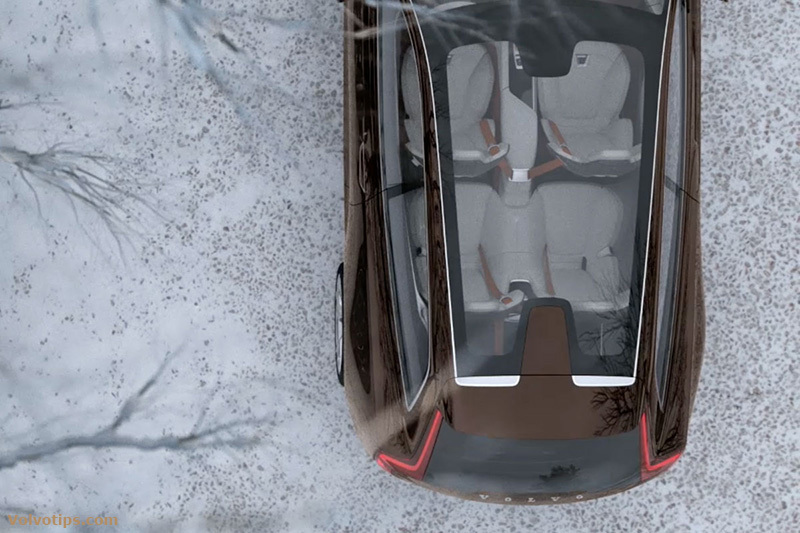 Enjoy your holiday and enjoy your Volvo while driving safely to your family or friends! 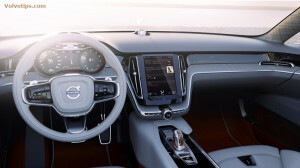 When you want to remove or replace the radio, or you want to install a MP3 or smartphone module in your Volvo S60, V70, XC70, XC90 or S80 there are some steps that you need to take, otherwise you’ll end up in fault codes and errors. This tutorial is almost the same as the tutorials for the Yatour and GROM USB / mp3-module. 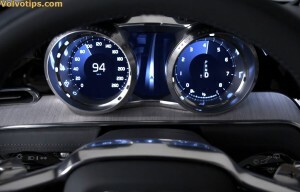 This how-to guide will tell you more detailed info how to remove the radio or navigation unit in your Volvo in case you don’t have the HU-1205 radio or a single DIN-radio in your car. Today Volvo and Polestar introduced the new Volvo V60 Polestar. 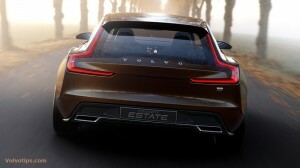 In my opinion it’s very cool Volvo has now a really fast estate car, and as a special model. Just like the 850 T-5R was. Polestar says the V60 Polestar is to celebrate the Volvo-heritage of fast stationwagons like the 850 BTCC. 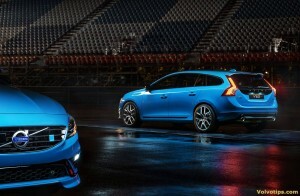 Just like the legendary 850 T-5R the V60 Polestar will be a limited edition. 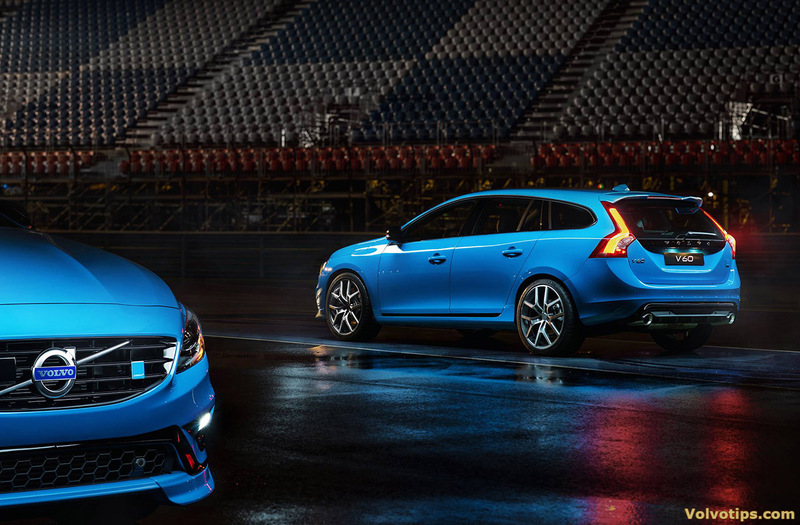 It means the V60 Polestar will be actually for sale! 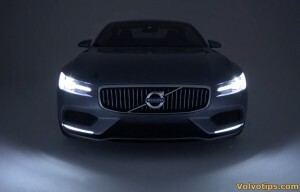 Volvo teased the Volvo-fans last days with a couple of sneak previews of their new concept coupé car that will be presented at the IAA motor show in Frankfurt. 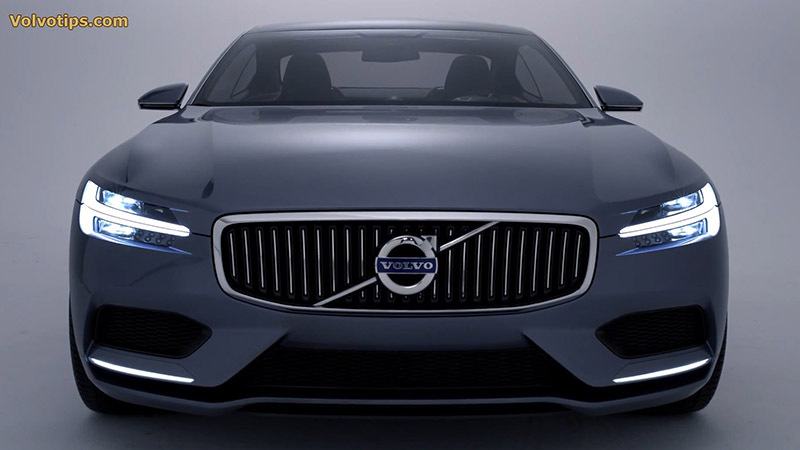 With the question / slogan “Is this Volvo?” they want the world to know Volvo is planning to launch a car that isn’t the traditional family car but will be a 2-door coupé or even a real sportscar! In the sneak preview it appeared the Volvo Concept Coupé (the name of the new concept car) has several references to the legendary Volvo P1800, like the badge on the back of the car, the boot and rear of the car, higher door lines at the rear of the door, the side windows and some details (like the chrome trims around the grille and headlamps) that also can be found on the Volvo 1800-series. 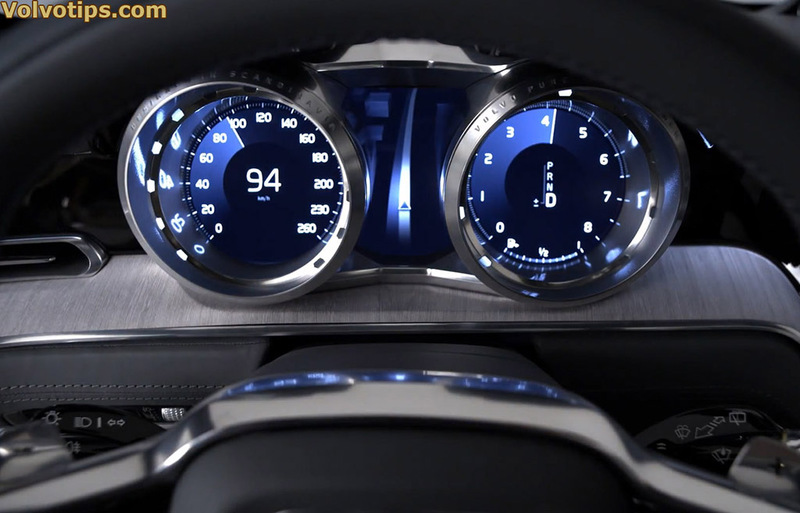 And the interior and dashboard are actually a modern version of the beautiful P1800 interior, like the chrome dials and chrome trims on the doorpanels. 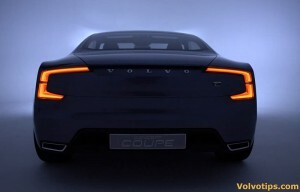 It seems the Volvo Concept Coupé is a remake of the P1800. Really cool! Today Volvo presented the world their newest concept car on the new Volvo SPA-platform. It’s called the Volvo Concept Coupé . 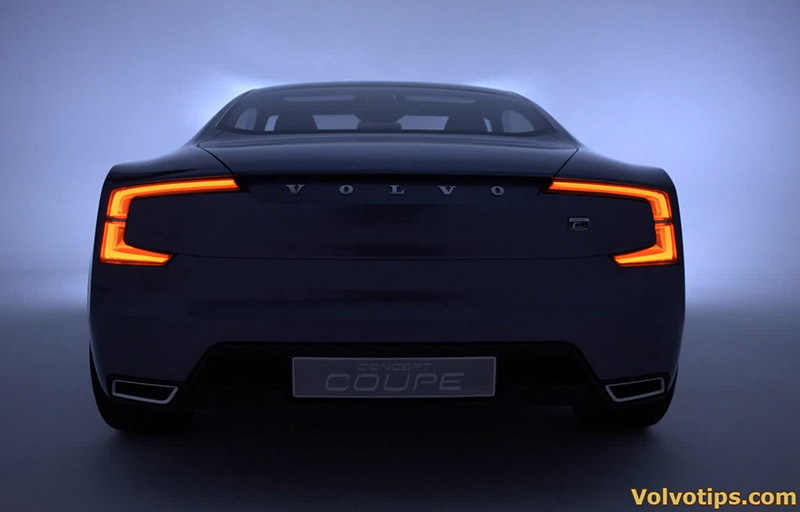 The 2-door coupé looks very nice and the P1800 heritage can be found pretty good in the design of the new Volvo sports car (although it might be a Grand Touring if it went into production, just like the P1800 in the good old days). 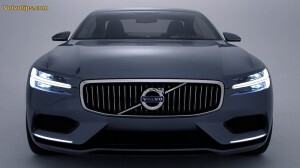 Hopefully this concept car will be produced in the future, and it will be pretty likely the car will actually appear on the road in the near future: Volvo presented concept cars in the past that were produced within 2 years as a production version (like the C30 concept, which became the C30). 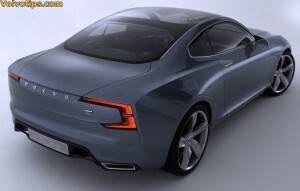 Image gallery of the Volvo Concept Coupé. The Volvo Concept Coupé will be shown at the IAA Frankfurt autosalon 2013 in Germany, which will start on September 12 and ends on September 22 2013. 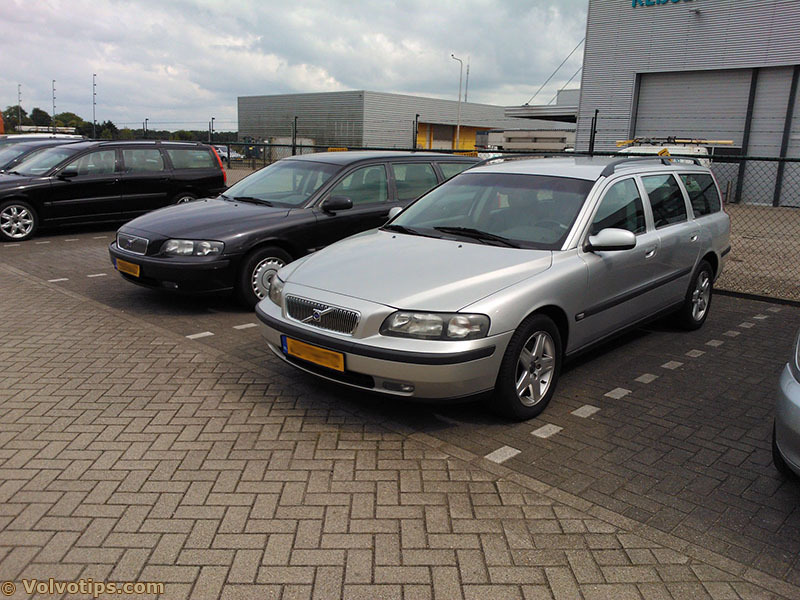 My 2001 Volvo V70 needed a replacement: after a huge mistake of a Dutch Volvo-tuner (they replaced the cambelt without using special tools, so the cambelt wasn’t installed correctly) so I didn’t trust the engine anymore (running idle wasn’t great: it had some dips sometimes). I drove the car more than a year with these problem but it didn’t get worse. But I decided to buy a new car because I still didn’t trust the engine. The V70 turbo drives well, but at the dealer there was also a very nice 2002 Volvo S80 2.4T which was like a brand-new car! 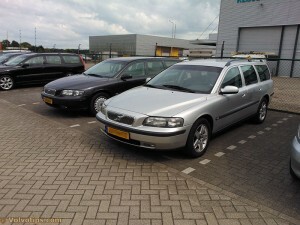 After two weeks I switched the V70 Turbo for the S80. 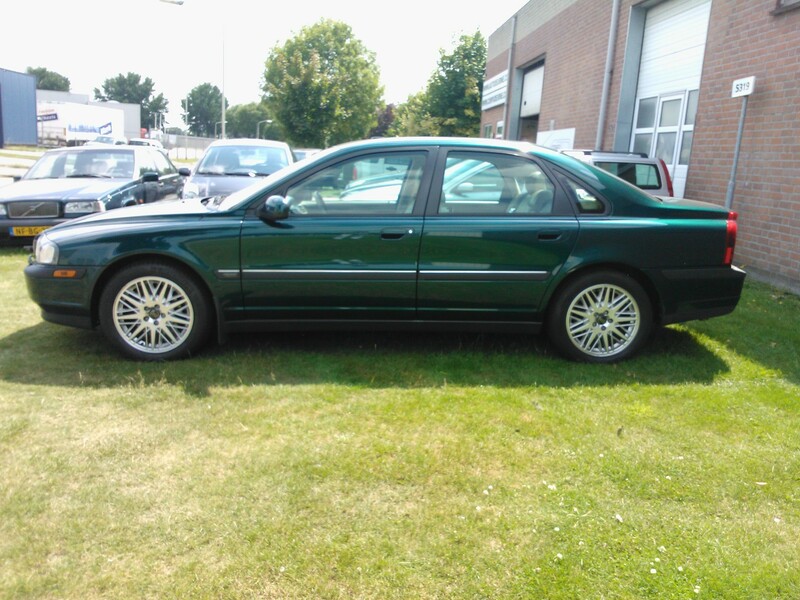 The dealer didn’t have any problem at all with the switch and also checked the S80 including a new MOT. Two months ago I sold my good old 1986 Volvo 240 DL after Kevin and I restored the car. I didn’t want to sell the car for any price, but only when someone was interested in it and made me an offer I couldn’t refuse. Someone did, and the car was gone. Since it was a very nice car (after the restoration), and the ’84 740 GL was also sold a couple of months earlier I only had the V70 and the 740 GLE of my girlfriend here on the pavement. Not a classic car anymore, and after a while you’re going to miss a 240. So I decided to buy a 240 when a nice one or a good hobbycar would appear on the web. 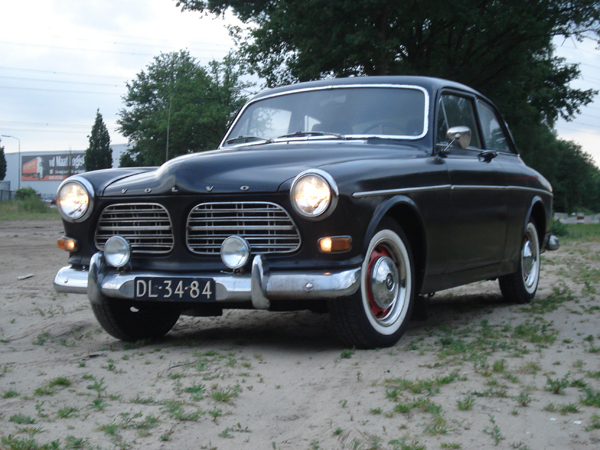 It’s a pretty good time to buy a nice 240 for a pretty low price since the Dutch government changed the tax-status of the oldies in the Netherlands, and it appeared most Dutch classic car owners doesn’t give **** about the car, but only about driving around without paying any tax. 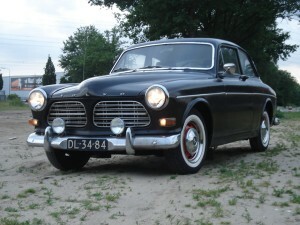 That’s why the Volvo 200- and 700-series are dropped a lot in price. 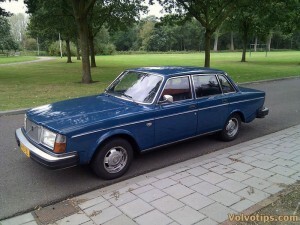 On a Dutch forum a pretty cool 1978 Volvo 244 DL automatic with 264 bignose front, 244 GL/GLE 1979/1980 H4 headlights and 246 back lights was posted as an advertisement. The ad said the car was only running on LPG (didn’t work on gasoline) and wasn’t running well. The owner didn’t have a clue what the problem with the car could be and didn’t want to spend any money or time on the Volvo 244 DL since this car should pay about 100 Euro per month on road taxes in 2014. 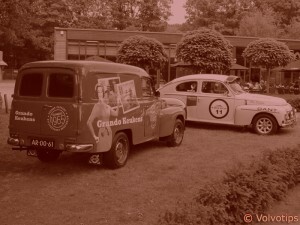 Today was the big day: Secretary of Finance Frans Weekers finally announced the new plans for classic cars in The Netherlands. After several weeks of arguing with oldtimer-clubs and branche & sector representatives, and even mediation by ex-minister De Jager, there is a final solution for this soap. BNR Newsradio announced the plans of Weekers. Classic cars will become tax-free after 40 years (the owner of the car doesn’t have to pay any road taxes), no matter which fuel the car is using (petrol, LPG or diesel). For petrol cars there will be a transition: petrol cars of 26 years will pay a quarter tax rate and aren’t allowed to be used during the winter (December, January and February). These new regulations will become active on January 1 2014.